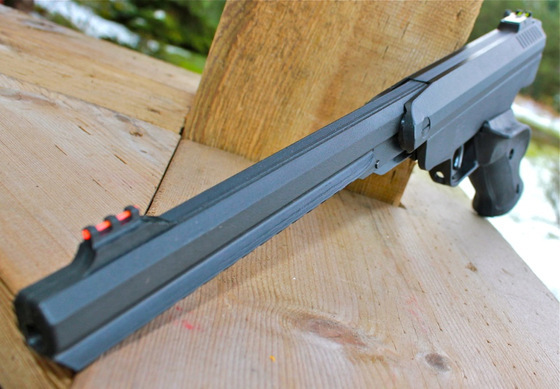 Trigger Pull: The trigger pull on the Xisico XSP180 is amazing right out of the box. You actually have to be very carful because it doesn't take much to release it. I like mine setup this way but you can adjust it to your shooting style. Accuracy: Very good, I was expecting to do much worse as I am far from a spring piston expert shooter. Even though I'm not as comfortable on the springers, I found the XSP180 easy to shoot even with the heavier spring piston kick. From 30 feet out I was able to get a tight 1 inch group shooting from a semi rested position. The Xisico XSP180 surprised me yet again with 470 fps average velocities even in the large .22 caliber version I was using. 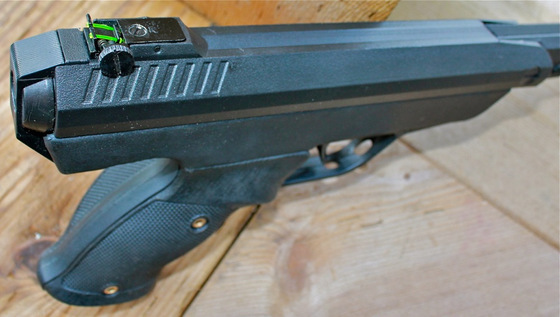 Build Quality: The Xisico is priced on the lower end for a target pistol and because of this uses perhaps a bit more plastic then similar styled pistols. That said I found the plastic to be good quality and the gun had good overall weight to it. There are times when plastic is better suited then metal and I felt it was used well in this gun. Of course there is metal internally and externally but the main shell is primarily made out of plastic. All the moving parts worked well and felt nice and tight. I did not feel any concern that this gun would let me down. Realism: The Xisico XSP180 is not a replica of any gun that I know of but it does have a modern look to it with its elongated design and ergonomic features. Inexpensive spring piston target pistol. Comes in .177 and .22 caliber version. Excellent FPS even in .22 caliber, well above claimed. Modern looking and ergonomic design. Adjustable Sights with fiber optics. Lots of plastic but looks to be durable. Grip shape will only work for right handers. No top rail for a red dot or scope. Safety is a bit tuff and on the ridged side. I wasn't expecting the world from this spring piston break barrel pistol because it is a more price conscience gun and yes it may not be as refined as the Webley Alecto I also reviewed but I have to say it performed well and exceeded my expectations in most every way. First off, when the manufacturer claims 400 fps from the .22 caliber version this usually means the absolute best case scenario! I used medium grain pellets and still got some amazing chronograph results from this spring piston shooter right up into the 470 fps range. Secondly, being a springer with a heavy recoil, I figured it would effect my shot placement but again I was surprised and shot as tight a group as I can expect from any pistol with open sights from 30 feet out. lastly, again if you can get your head around the plastic, this gun feels well made and I would expect a lot of good times shooting with it for many years. If you're on a bit of a budget but want a compact shooter you can target shoot with or even take down small to medium sized pests, then grab yourself a Xisico XSP180.